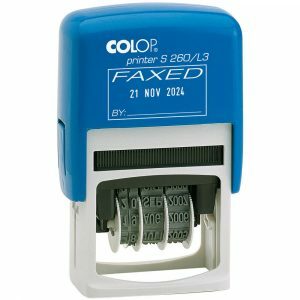 Plastic self-inking date and hour stamp. 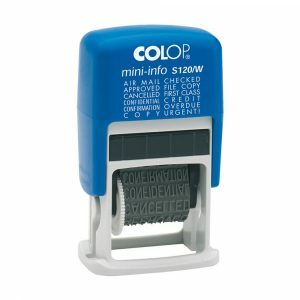 Plastic self-inking date and text stamp. Plastic self-inking dater with stock text. Plastic self-inking numberer and text stamp. Extra small self-inking date stamp. Extra small self-inking band stamp. 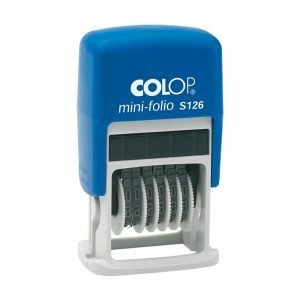 Extra small self-inking numberer. Comes with 6 numering bands. Extra small self-inking double date stamp. Extra small self-inking numberer. Comes with 13 numering bands. 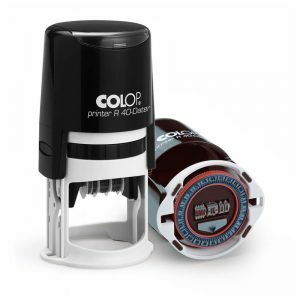 Extra small self-inking dial-a-phrase dater. Date and band comes in one line. 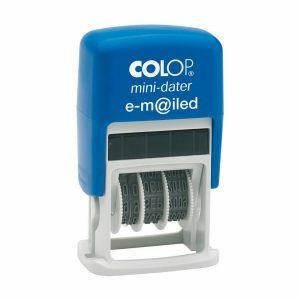 Extra small self-inking dater with one line of stock text above the date. 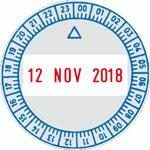 Extra small self-inking date with space for text before the date. 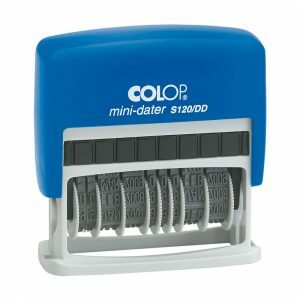 Extra small self-inking date and text stamp. 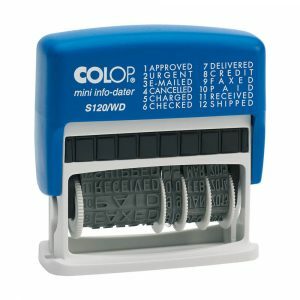 Extra small self-inking double dater with space for text above both dates. 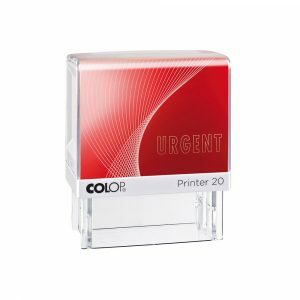 The Printer 20 LGT is a stock text stamp with a useful and typical office text.